Metro Dance Center offers a variety of recreational dance classes for students of all ages and abilities. This class is designed for children from 18 months to 3 years to participate in with a parent or caregiver. This 30 minute class includes a variety of fun games to help students learn fundamental dance skills. Props and toys are used to assist in learning rhythm, balance and basic dance skills. Dancers and parents learn a dance they perform together in the spring recital. This class is designed for 2.5-4 years old. This 30 minute class includes a variety of games to assist in learning fundamental dance skills. Props and toys will be used to promote understanding of rhythm, balance and basic dance skills. Dancers learn a dance they perform in the spring recital. This class is designed for 4-6 year olds. This 45 minute class teaches fundamental tap and ballet skills. Our skilled teachers incorporate a variety of fun and challenging games to help students understand new dance skills. Students perform both a tap and a ballet dance in the spring recital. These classes are designed for 5-18 years old, and are separated by age and skill level. 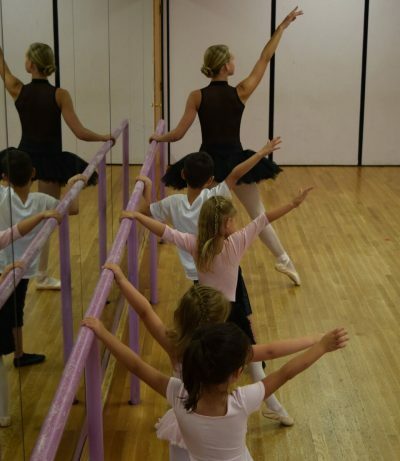 In the classes the dancers work on their flexibility, learn and improve their skills in tap, ballet and jazz, and learn combinations to improve their performance abilities. Students perform a tap, a ballet, and a jazz dance in a spring recital. These classes are designed for 6-18 years old, and are separated by age. Hip hop moves including basic hip hop tricks are taught using age appropriate and family friendly music and choreography. Classes include flexibility training, combinations, and fundamentals of hip hop. Students perform a hip hop dance in a spring recital. Tap: In this class, dancers will learn and work on the fundamentals of tap dancing. Skill review, introduction of new skills, and learning combinations are included in each session.